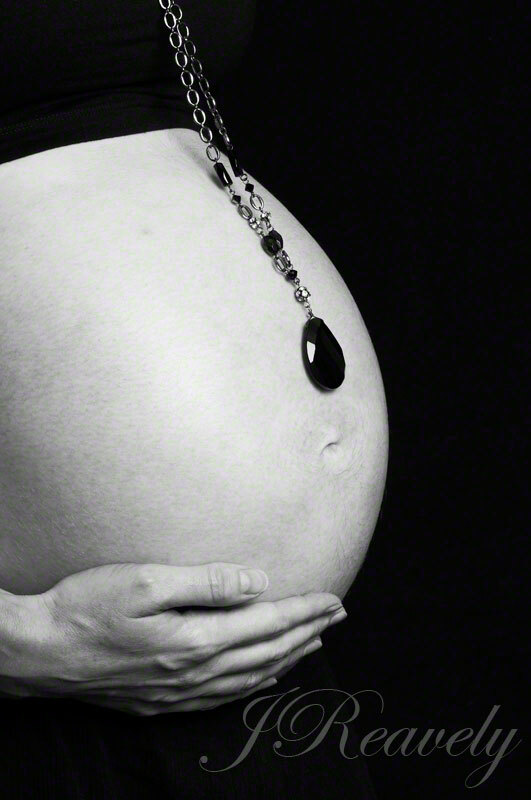 Pregnancy is a time of great change for any woman – some will love their enhanced bodies, embracing their new shape, while others may not feel quite so confident. Take the time to have a cup of tea and a chat with her before you begin and make certain you know exactly what she wants from the shoot – does she want to remain fully clothed for example and are there any parts of her body that she feels particularly self-conscious about? Understanding more about your mum-to-be and how she wants to be captured at this special moment in her life makes for a better experience for everyone involved in the shoot, and you’ll get gorgeous, relaxed-looking images as a result. If – like our Mrs A – your mum-to-be has flawless porcelain skin, then a black background makes the perfect backdrop against which to really show it off. Black velvet is the best choice if you have it at your disposal, as it does a fantastic job of absorbing any stray light that happens to hit it, rather than reflecting it back. Black card or any other type of black cloth will also do the trick, just be careful about the direction of your light source. Black clothing is a flattering choice, and it will help maintain the striking high-contrast look that works so well with fair complexions. That’s not to say that white doesn’t work well too – here I experimented with direction and strength of the light source, creating some hazy flare that lends a summery feel to this image. To recreate this look, position your light source behind your subject, aimed directly at the wall directly behind them. Have your subject stand so they mostly obscure the light source, crank up the power and fire away! You may need to adjust the output to get the look you want, but keep trying out different settings and lighting directions until you’re happy with the results. Don’t be afraid to get other members of the family involved too – particularly dad of course! Including other children that are part of the family can also make for poignant images too – try and find a way to get everyone involved and you’ll end up with a unique family portrait. Rather than cramming your memory card with anonymous bump-against-backdrop shots, try personalising a few images with accessories that say something about the personality of your subject. Opting for a striking piece of jewellery that works with Mrs A’s skin tone and adds to the high-contrast look of this image was an excellent choice, inspired by the creative mum-to-be’s artistic flair. Don’t just confine your shoot to the studio – once you’ve bagged some indoor shots, get out into nature for some unique images. 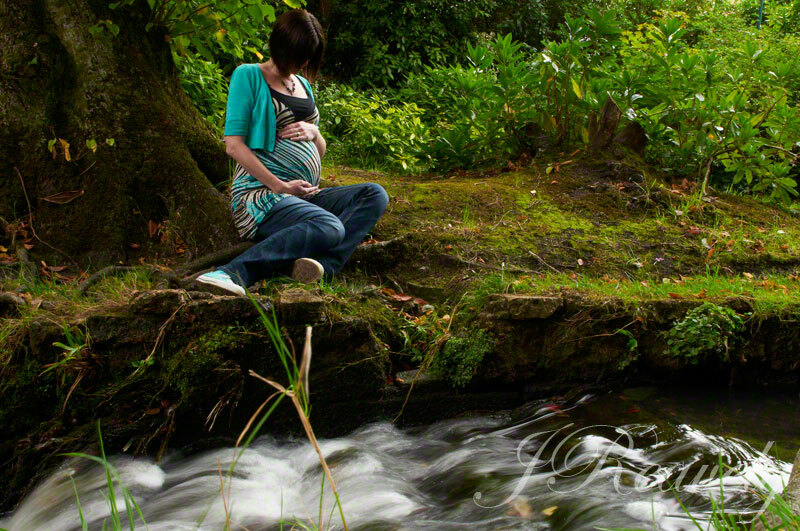 Go to your mum-to-be’s favourite place and photograph her in the surrounding environment. Autumn colour worked brilliantly for this shoot, but you could get stunning results at any time of year – you just have to keep your eyes open to new possibilities. I loved the way in which Mrs A’s strikingly patterned top contrasted with the natural autumn foliage in the background. Look for details like this and try different compositions to get the best effect. 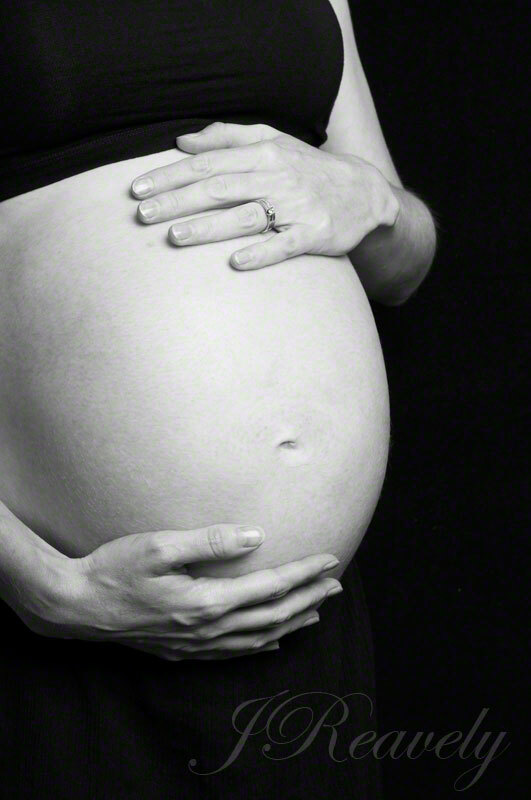 Look for lines in your location that can be used to direct the viewer’s attention towards distant subjects, for an unusual take on the standard pregnancy portrait. 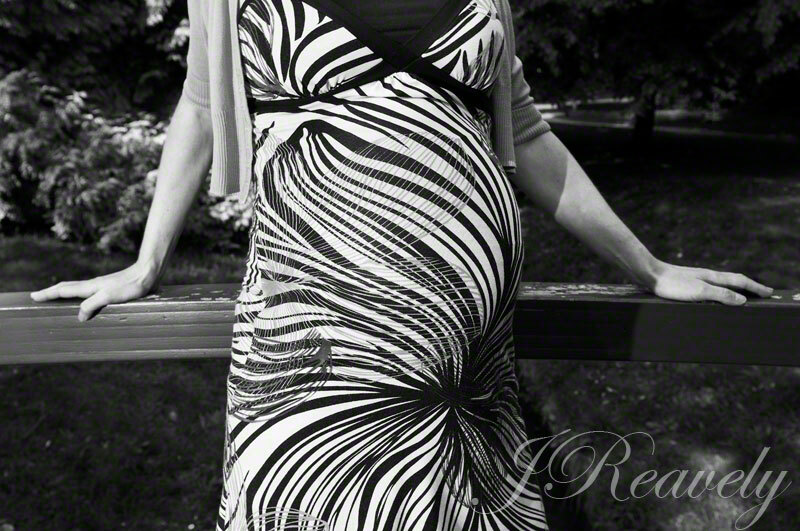 As well as full-length portraits, try composing a few images that centre on the beautiful baby bump alone, the results can prove very compelling. Taking inspiration from the more candid style of portraiture that I often favour, Mrs A was happy to pose by this flowing stream while I took some more intimate-looking images of her, seemingly alone in this place of natural beauty. These turned out to be our favourite images from the shoot. Congratulations Mr & Mrs A, on the birth of your beautiful baby boy!